As we enter Advent, the season of waiting for the coming of Jesus as one among us at Christmas, we’re planning a programme of events in the Cathedral. 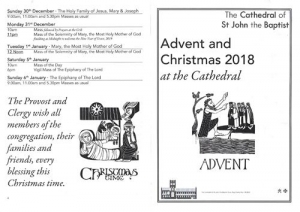 There are a good number of Carol Services (both for Advent and Christmas) which will be taking place, as well as welcoming other groups into the Cathedral so they can celebrate with us in the Lord’s Nativity. 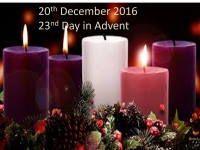 For more information about the events for Advent, and details of the Christmas Mass Times, please view our Advent and Christmas 2018 leaflet.